2016 means green in our house. We have a hybrid car and just fitted solar panels. While it’s great to save the environment, we also like to save money too. I have been looking into and have tried a couple of smart thermostats recently, and liked the ability to control my heating remotely, so I decided to share my research with you in this list. I have researched Netatmo, Nest, momit and tado (pronounced tardough). All four systems are more intelligent than traditional thermostats, as they allow you to control your heating remotely via an app on your smartphone or tablet. I looked into several criteria that I wanted in a thermostat and then ranked the devices per criteria. It’s not scientific, but it may help you make a decision. These products are developed to be standard for the majority of boilers so no outright winner here. momit – over 95% of the boilers on the market are compatible. If the previous thermosat works with two cables momit is compatible. Bear in mind that that the momit Home Thermostat supports 230v/2A and the momit Smart Thermostat 230v/5A. They also have a special link to check compatibility. tado – claims to work with almost all heating systems in apartments and houses that have their own heating boiler or apartments with single-storey gas heating. I had to give my boiler name to find out about exact compabilitiy. Netatmo – can’t find information on what it’s compatible with, but they have an online checking tool where you can go through some steps to find out if you heating system is compatible. A presence sensor in the thermostat detects when there are people in your house, so that the heating will switch off if you leave and forget to switch it off, and will turn on when someone is at home. Nest display can sense if anyone is in the house or not. This means if you go out and leave the heating on, it will automatically turn it off after a while to save money. tado uses your phone’s GPS to detect when you leave home as well as when you’re on your way back, so it will turn the heating on and off based on your location. momit Home Thermostat is similar and operates according to the schedule programme whenever a presence is detected in your home. If the momit device detects no presence, the relay is disabled until a presence is detected again. This period can be set when you activate the configuration. All apps related to the devices are free and offer standard control over the thermostat. The most exciting functions in my opinion are geolocation and the ability to set spending limits on your energy. Geolocation enables or disables heating depending on the distance between your home and its users. How does it work? Enter the distance you wish to take as a benchmark and when you take your mobile phone outside the kilometre radius set, the thermostat will ignore the programme and disable the relay, saving you energy whenever you are far from home. When one of the home’s users enters the kilometre radius set, the thermostat will resume its normal operations. Geolocation is only activated if no presence is detected in your home. How cool is that? momit – as well as the schedule, manual mode, weather forecast and temperature and humidity modes, momit offers a My Budget function. With this the user can set a desire monthly spending in electricity bill. My Budget will give daily statistics of the consumption, as well as recommendations in order to achieve the stablished goal and start having real savings. 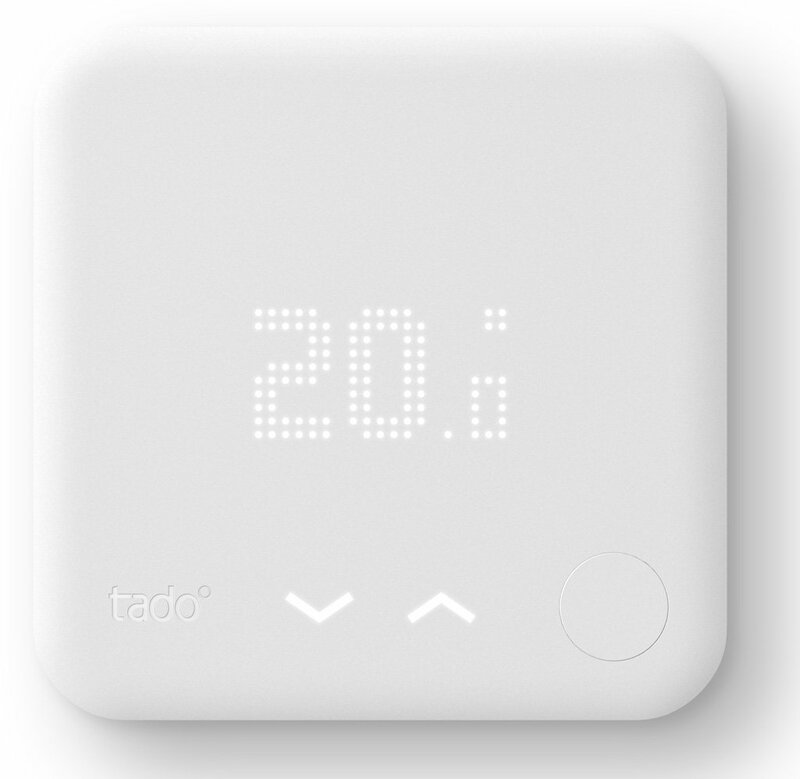 tado – app tells you what temperature you have at home, and outside and heating costs. It also has geolocation. You can switch your heating on and off and programme it via the app. Nest – allows you to fully control your thermostat from your mobile device and offers geolocation. Netatmo – main features are: remote controle, easy schedules set, advanced heating and prediction algorithms, etc. I can’t see that this offers geo-location. Netatmo – the thermostat can replace a wired thermostat or be installed in wireless mode, both installation types can be done, all the accessories are provided with the thermostat. momit Home Thermostat – can be either fixed on the wall or wireless. If you want to use it as a wireless device you can either buy another momit Home Thermostat or a momit Extension Kit for £29.99. tado – you can make this portable with an extension kit at £79.99. Nest – The Nest thermostat is not portable, unless you buy the third generation version (£199), and then you’ll need a stand at £29, or you can plug it in to a different socket. If you are going to invest in a smart thermostat, it might as well look good. momit Home Thermostat – comes in five colours and looks pretty sleek. The colours are Black Pure, Steel Silver, Red Dahlia, Summer Blue or Luxury Gold and give you more options to match with your decor. Nest – neat rounded design, stainless-steel dial and familiar clock-like display style. 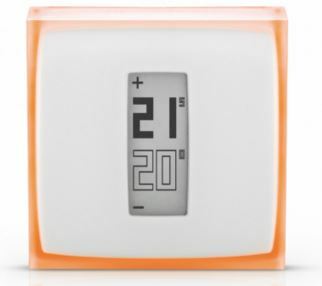 Tado – simple white thermostat, has been outfitted with an LED-matrix display allowing for direct interaction with the tado system. These thermostats are really smart and can learn about your routines, and thermal properties of your home and decide on heating according to household patterns of behaviour. Nest – this thermostat keeps leaning and adjusting its schedule according to changes in patterns of behaviour. From 30 – 37% are the typically quoted figures in terms of savings. Of course, every home is different, so these figures are probably best case and will vary, and when looking at the actual real life Nest test results, these figures seem a little high. 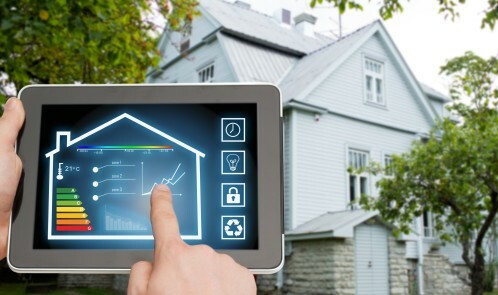 momit – Through various features, such as Smart, Geolocation or Presence, among others, you can make savings of up to 30% on your energy bill. Nest – they did some tests on real people in the US, and on on average the Nest thermostat saved 10-12% on heating. they get confusing, as there seem to be so many options, so I priced for a thermostat, connector for the internet, extension kit for moving it around and a stand if necessary. momit – the momit Home Thermostat Starter Kit (Thermostat + Gateway) – £99.00 and momit Extension Kit to move the thermostat around £29.00, so total price is £128. 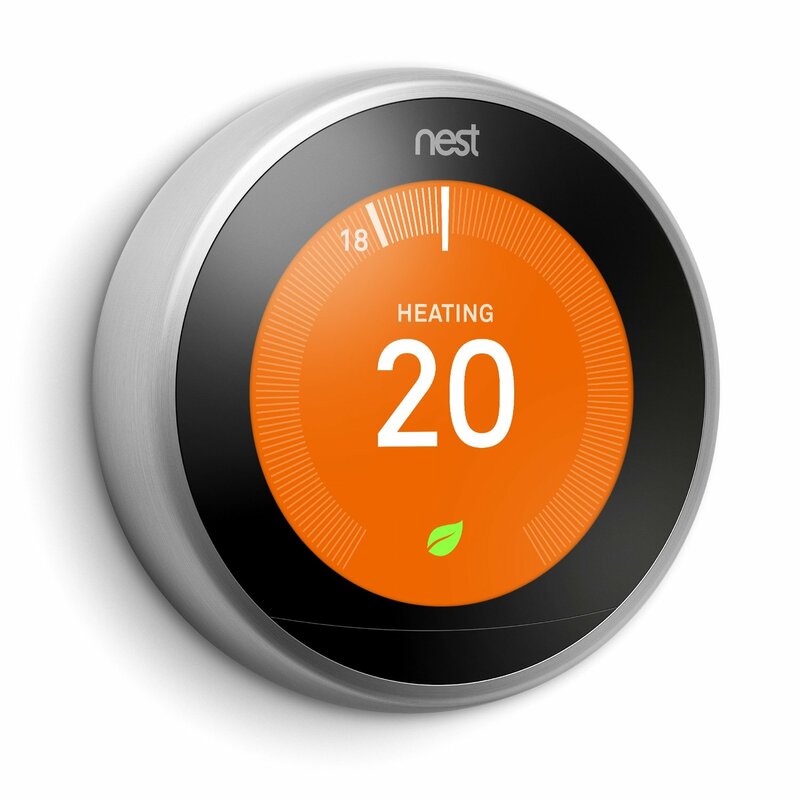 Nest – thermostat is £199 – for the third generation, but you can still buy the second generation, at about £144. The stand is £29, so that’s £228. tado – is £199 for the thermostat and £79.99 for the extension kit from Screwfix, so that’s £278.99. All systems come with similar parts, so the complexity of the setup will really depend on your home and whether you choose a professional installer or not. You can do it yourself of an installer is usually around £70. There are lots of installation videos on Youtube that are worth watching if you are unsure. So there you have it, if you are a bargain hunter, go for momit as it looks great and has all the great features of the tado and Nest, while also coming in five colours and having a MyBudget function on its app to help you set your spending limits for heating. 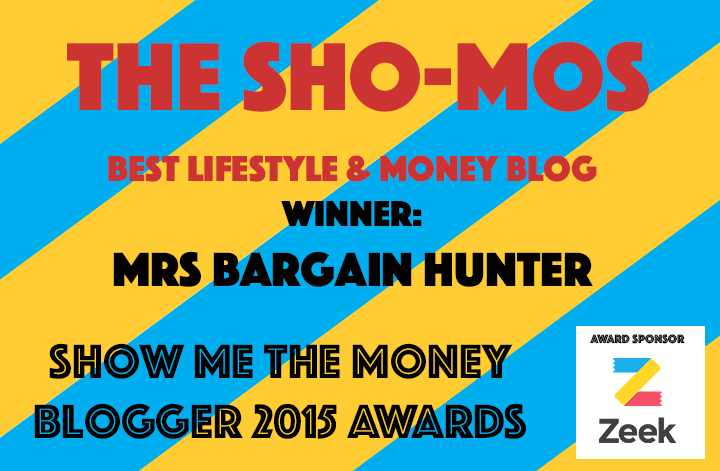 Note: Kalpana at MummyMoneyMatters told me about Hive and how that is worth a look at.